Description: Sublime™ Acmena Lilly Pilly is a lovely mid-sized tree with refreshing lime new growth and dense foliage to the ground, great as a hedging or screening tree. Masses of white fluffy flowers appear in summer. It rarely produces berries. Size: 5m high x 2 – 3m wide. 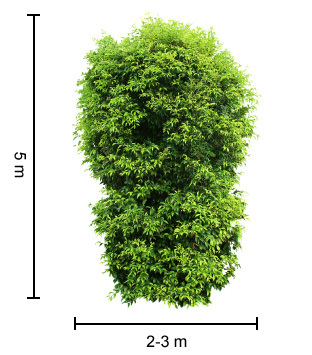 Uses: Ideal for screening, hedges, topiary and garden features. Position: Full sun to part shade. 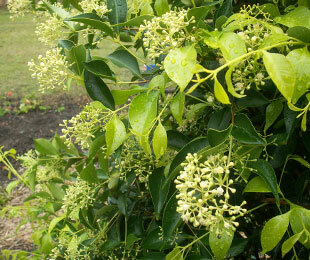 Tolerates a wide range of conditions (cold, drought and seaside gardens). It suits well drained soils to heavy clay loams. Care: Water as required for 8-13 weeks until established. Plant in a well mulched garden (chunky mulch is recommended). If required use slow release fertiliser in spring. 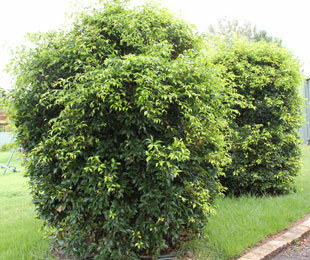 For a tidy hedge prune yearly, for a natural shape prune every 2-3 years or not at all. For more detailed information on Sublime™ Acmena click here.